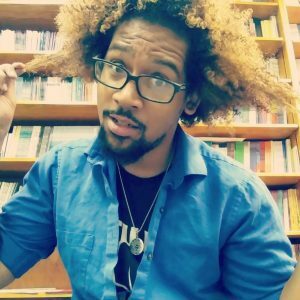 Justin Rogers is a Black poet, educator, coach, and editor from Michigan. Rogers shares poems surrounding living and praying as a Black man in America. He most recently has work published in Rinky Dink Press, Gramma Press, and is the winner of Black Napkin Press’ inaugural Chapbook Contest. He is the coordinator of InsideOut’s award winning after school program, Citywide Poets and is on staff with WusGood.Black, 3 Elements Review, and Driving Range Review.